The Australian Greens have raised the question of Eurovision boycotts by SBS in Jerusalem due to recent violence in Gaza. It follows calls for a boycott in Iceland and Ireland. It has also been raised in Sweden and the United Kingdom. 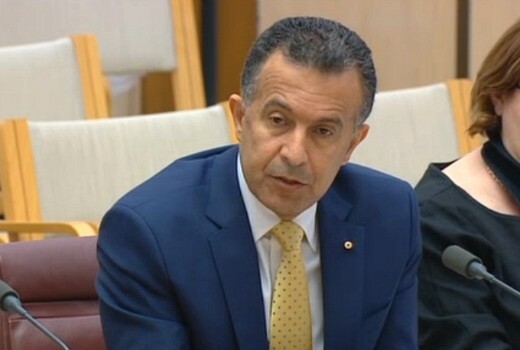 Last week Greens Senator Lee Rhiannon quizzed SBS CEO Michael Ebeid at a Senate Estimates hearing. “Recent events along the Gaza border have shown that the Israeli army engage in lethal military actions, on days that are seen as ‘significant’ or when Palestinian-protests are planned,” she said. Michael Ebeid reminded the Senator SBS has been broadcasting Eurovision for 35 years -an event that started 62 years ago post-World War II to reunify Europe. “The whole point of Eurovision is to forget politics, forget all of that and unite communities and countries together in the spirit of song, in the spirit of celebration, in the spirit of culture. It transcends things you’re talking about,” he said. Communications Minister Mitch Fifield, siting beside Ebeid at the time, suggested Senator Rhiannon might be more interested in the Intervision Song Contest, previously the Eastern Bloc equivalent to Eurovision. So, the Greens are both racist and anti-semites. Hmm, charming. I was surprised when the winner announced during the finale about it being held in Jerusalem. Interesting that this was already decided. Ordinarily, the host country announces this months after the win. Also, I’m pretty sure I’ve recalled hearing Tel Aviv calling rather than Jerusalem calling when they ask for Israel’s vote? You are right on both fronts. It has cause some tension that a city was declared without consultation. Don’t believe it is official yet.